With the Mets signing Wilson Ramos to a two year deal with an option for the third, the team has resolved a great need behind the plate. However, news is coming out that the Mets did in fact offer Yasmani Grandal a contract. Not a bad contract offer to boot, the offer was in the vicinity of $64M over the span of four years, reports Jorge Castillo of the Los Angeles Times. Grandal rejecting the Mets offer in turn actually makes the team better and better suited for a successful future. 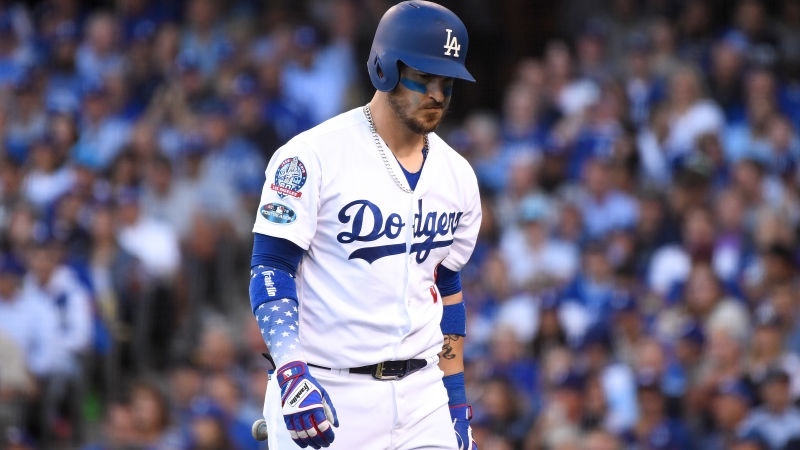 Grandal rejected a $18M Qualifying Offer from the Dodgers, which makes his cost greater than just the money. While a lot of fans care more about the immediate success of the team regardless the cost, the Mets would have had to forfeit their second highest draft pick in the upcoming amateur draft as well as $500k, which is specifically allotted for the international bonus pool. Grandal had a great regular season, which consisted of 24 home runs and 68 runs driven in while maintaining a 3.3 WAR on the season. However, his quality of play dropped dramatically in the playoffs and the Dodgers opted to go in a different direction come the 2019 season. While the Mets made a strong play at the backstop, they made the smart move. It’s no secret to us fans that the team needed a stronger presence behind the plate, that only means the rest of the league was and is aware of the Mets holes as well. Instead of acting like a desperate GM and potentially caving in, BVW took his knowledge as an agent and utilized it amongst the pool of free agents. In other words, he didn’t let himself, the Mets, or the fan base get screwed due to the well documented holes in the Mets offense. While the Mets have yet to step on field, I’m really liking this ensemble that has been put together by BVW and I’m really enjoying the man’s swag. He has success written all over him… and now we wait for spring… and maybe a couple more moves before we get there. Happy New Years Everybody!! We love you!! !